“I expect to come this way but once. Named after the founder of the Nelson settlement (Captain Arthur Wakefield), Mt Arthur can be seen from both Nelson and Motueka. Situated amongst the karst landscape of the Mt Arthur ‘Tablelands’, the tramp to the summit shows off the complex maze of sinkholes, potholes, and caves that intertwine in this area. 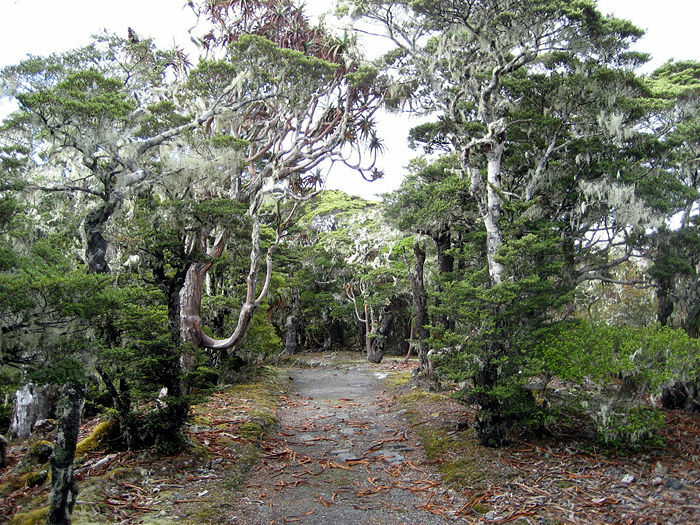 Another highlight is the exceptionally pretty grove of mountain neinei, which grow on the ridge leading to Mt Arthur Hut. 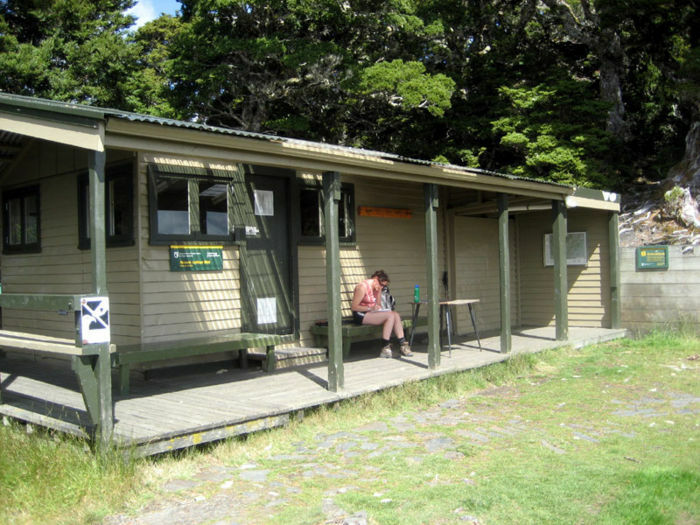 The track to the summit of Mt Arthur begins from the Flora Saddle carpark, where there is a shelter and a toilet. 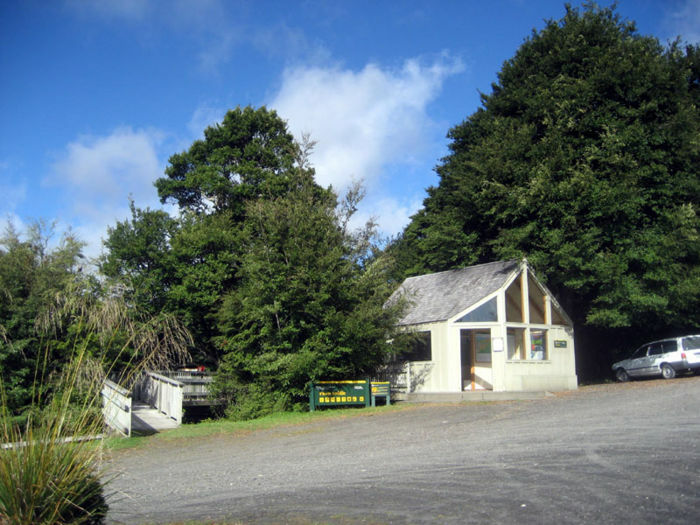 The Flora Shelter contains a number of interesting informational panels, and was opened by Prime Minister Jim Bolger in 1996. The track starts from behind the shelter and heads up the wide path past the gate. 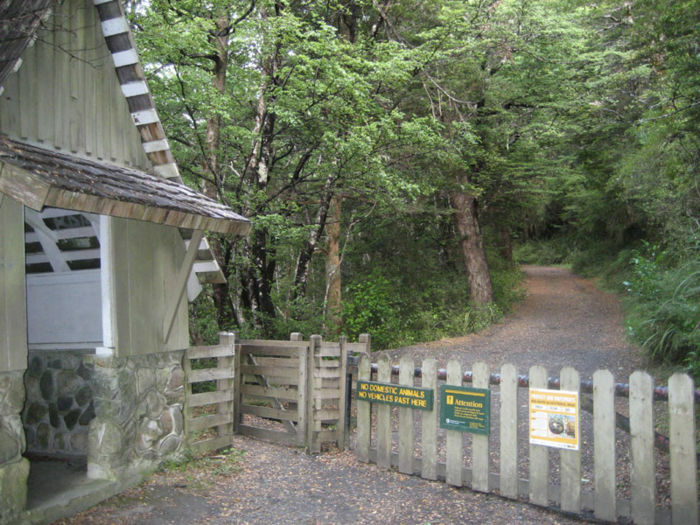 For the first hour and a half or so, conditions underfoot are good, with the path continuing up on to an atmospheric ridge covered in beech forest, and then up to the Mt Arthur Hut, which is situated on the bushline. 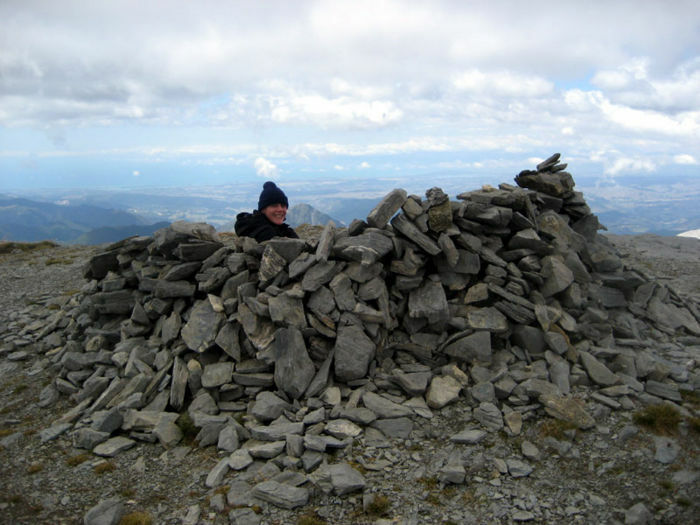 Have a hunt around the hut for the engraved quotation, and a take few moments to admire the peak of Lodestone, which is northeast from the hut. You can of course overnight in the hut if you want to break the journey, but Mt Arthur can just as easily be bagged in a return day tramp. Follow the signpost to Mt Arthur Trig and leave the Mt Arthur Hut clearing. Almost immediately afterwards, you need to head up to the left on to the top of the ridge that leads towards Mt Arthur. The signposts here only point to Flora Hut and back to Mt Arthur Hut, neither of which you want to go to, so follow the poles up the ridge instead. For the next couple of hours, continue to follow the poles and cairns along the ridge, and you will eventually come to a signposted intersection. 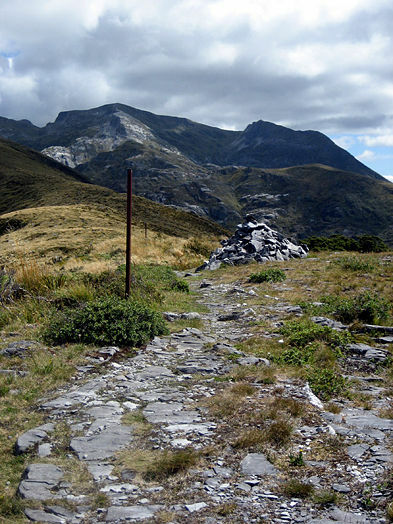 The signpost here indicates the way down across Horseshoe Basin and over to Gordon’s Pyramid, but to get to Mt Arthur, head left and continue along the ridge. If you’re feeling a bit tired by this stage, unfortunately the next section will do little to lift your spirits. The track now climbs and descends three times before reaching the foot of the final scramble to the summit. The tramping does get a little more difficult beyond the Horseshoe Basin intersection, with a couple of steepish scree slopes to contend with. You then need to sidle across back towards the flat summit of Mt Arthur, before doing little scrambling up the last two steep sections just below the summit. As always, it’s not as difficult as it looks from a distance, and you’ll be on the summit before you know it! Unlike the sheltered northeastern face you scrambled up, the summit is fairly exposed to the south, and the windchill here might come as a shock! Be sure to rug up before you make the final scramble to the summit, and once there, you can always take refuge behind the summit cairn. Return via the same route, which may or may not be slightly quicker, depending on how your body’s holding up! It took us 8 hours to complete this tramp (4 hrs 30 mins up and 3 hrs 30 mins down).